Karanovic & Partners is pleased to invite you to our student workshop, titled “How to Start-up: Navigating the legal complexities”. Organized in cooperation with the University of Belgrade, Faculty of Law, this workshop is intended for fourth year and Master’s students. Ivan Nonkovic, partner and independent attorney at law in cooperation with Karanovic & Partners, will discuss entrepreneurship and the start-up scene in Serbia. 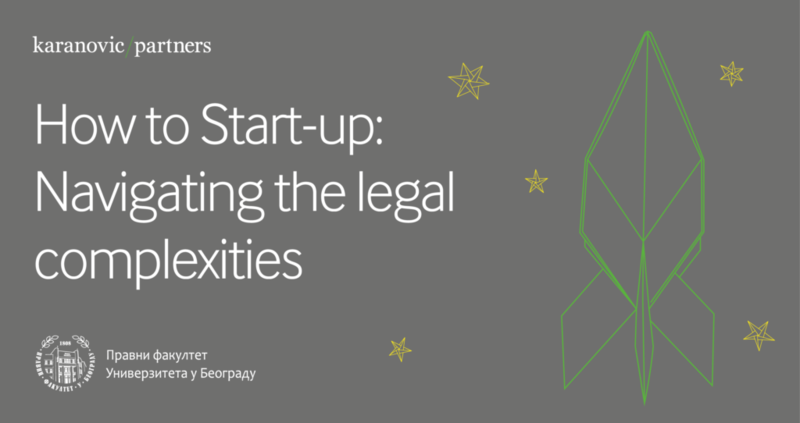 The lecture will include interactive workshops and practical examples, during which the students will become more familiar with the legal complexities involved in starting your own business. The workshop will be held on 17 April, at 15:20, amphitheatre VIII, at the University of Belgrade, Faculty of Law. Please follow our Facebook page for more information about the events.